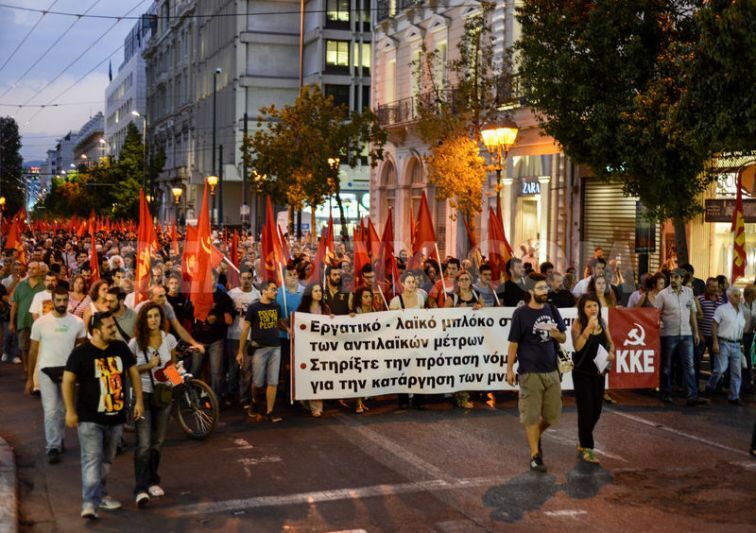 A mass protest march was held in Athens. 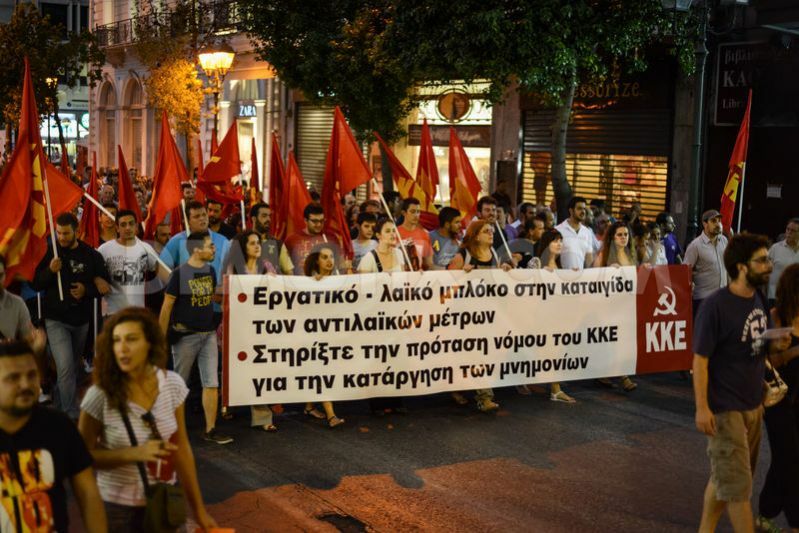 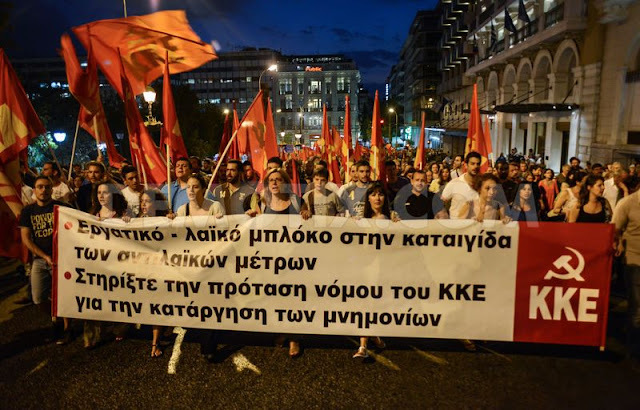 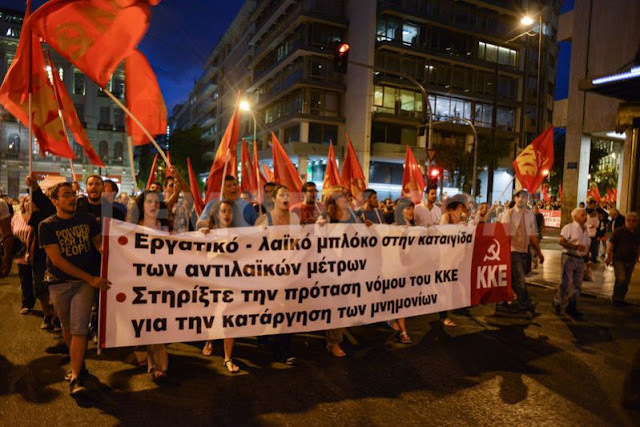 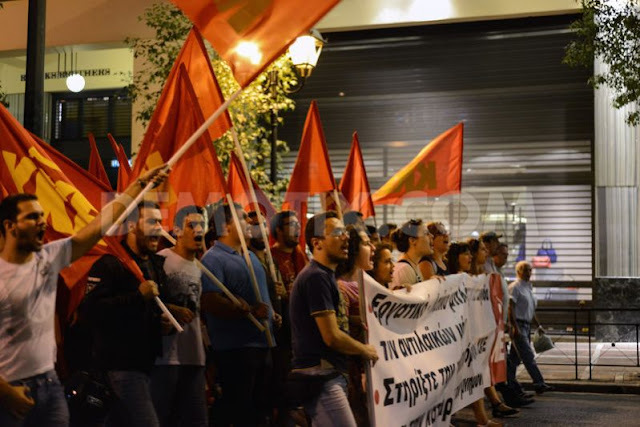 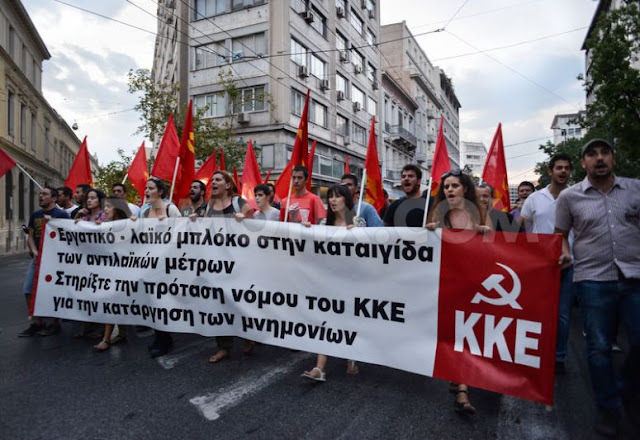 Hundreds of supporters of the Greek Communist Party (KKE) protested for the new package of austerity measures imposed by the Greek Government and the Troika. 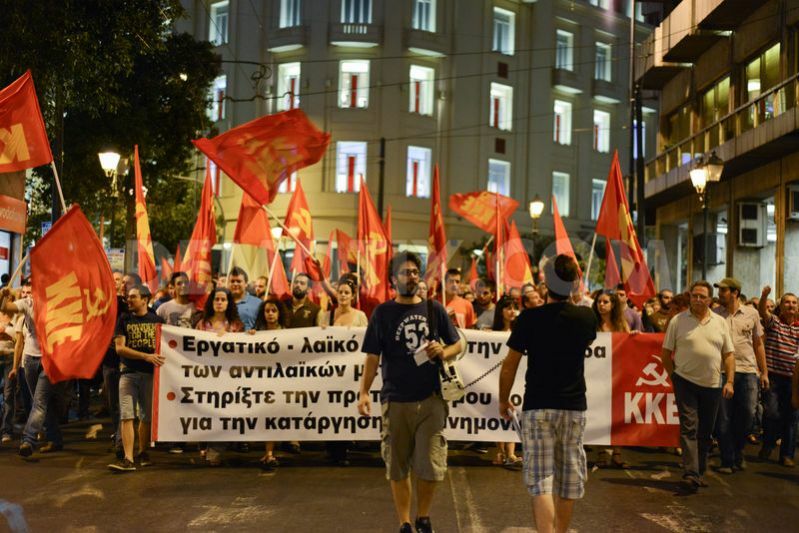 Protesters shouting slogans in Stadiou street. Banner reads: "Workers and people block the storm of unpopular measures. 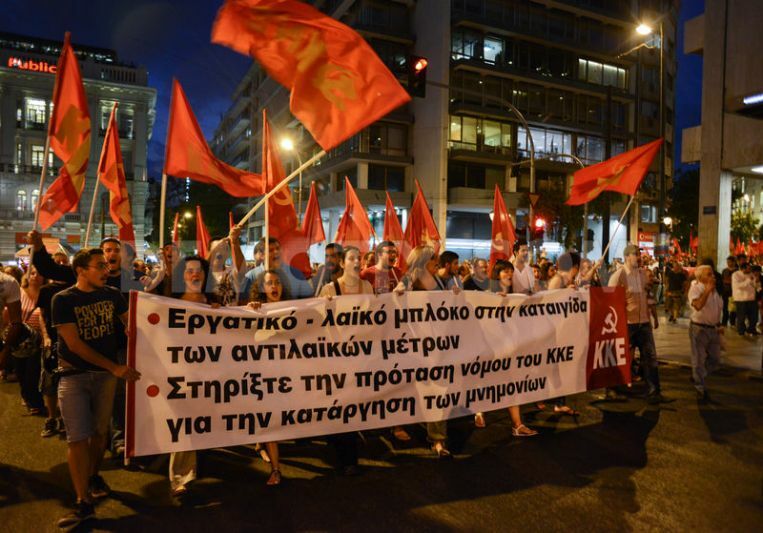 Support the legislative proposal of KKE on the elimination of memoranda". Protesters shouting slogans in Stadiou street. Protesters shouting slogans and waving flags in Stadiou street. 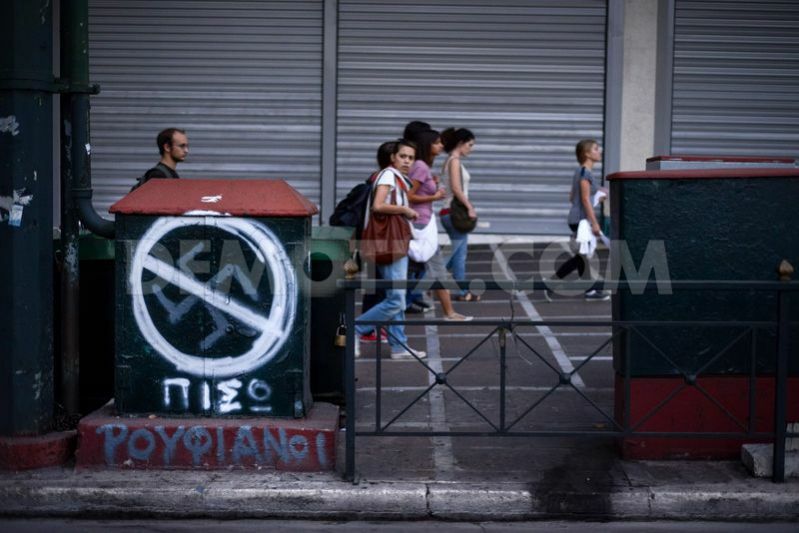 Anti-Nazi slogan written on Stadiou street, while passersby are watching the demonstration. The protest march reaches Syntagma square while protesters shouting slogans. 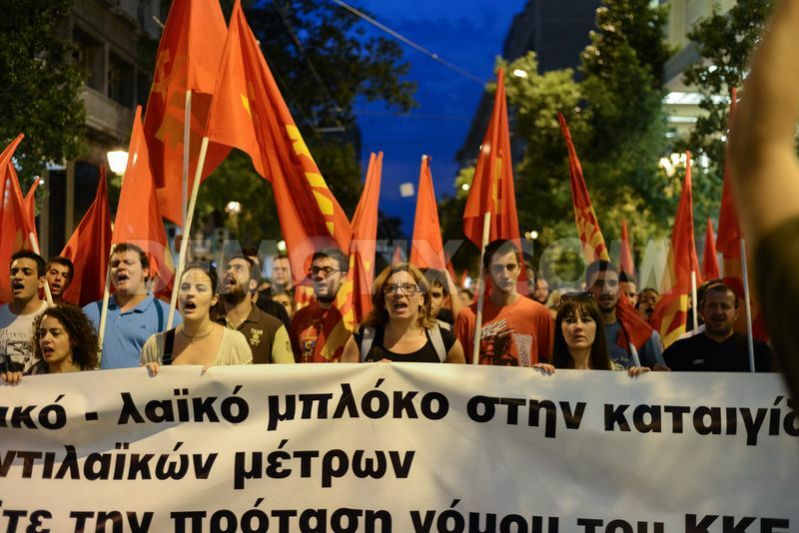 The protest march reaches Syntagma square while protesters shouting slogans. 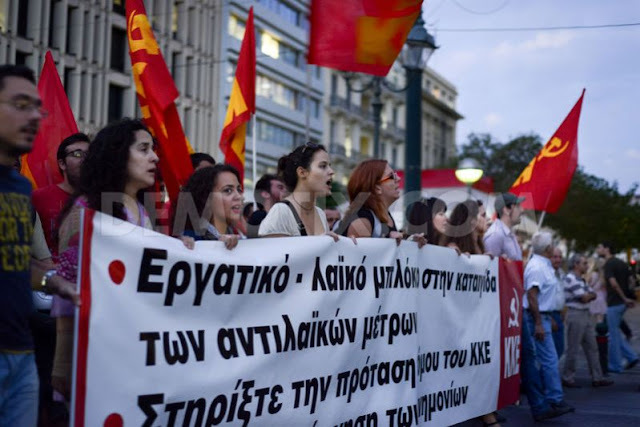 Banner reads: "Workers and people block the storm of unpopular measures. Support the legislative proposal of KKE on the elimination of memoranda". The protest march reaches Greek Parliament while protesters shouting slogans. 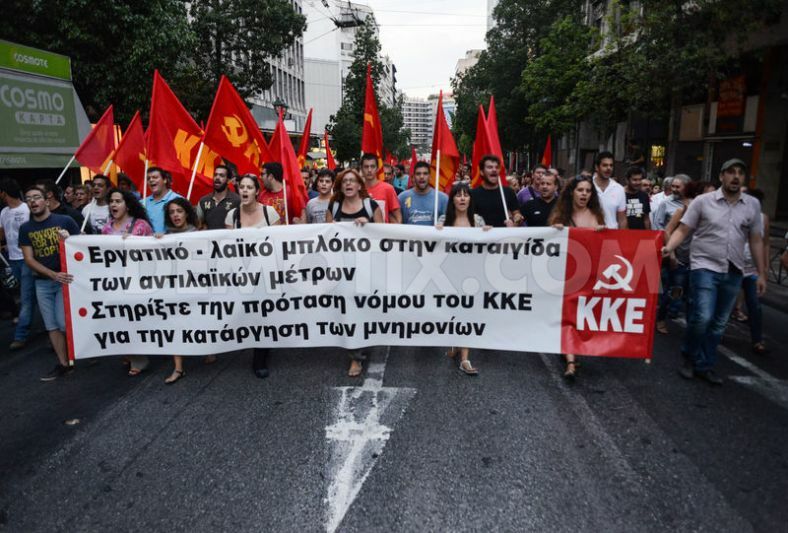 Banner reads: "Workers and people block the storm of unpopular measures. 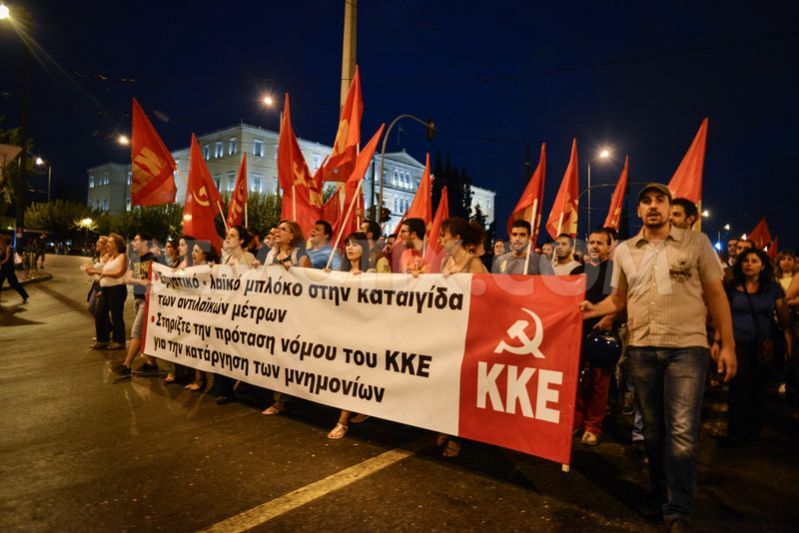 Support the legislative proposal of KKE on the elimination of memoranda".